Burton Youth Football has been growing and improving in stature as an excellent Village Club. Located in Burton near Christchurch Dorset, we play our home matches and have our training at the old Homefield School fields (now Winkton Fields) off of Stony Lane. There are approximately 154 boys and girls playing within the Club today. A far cry from the original one team! We run teams aged U6 through to U16. Our "Fun First" policy has helped our club to be successful in the leagues where we compete. For a small village club it is a tribute to our philosophy when we constantly surprise some of the larger clubs in our Leagues. All of our efforts are centered around improving all of our club's systems, standards of coaching, organisation and sponsorship. 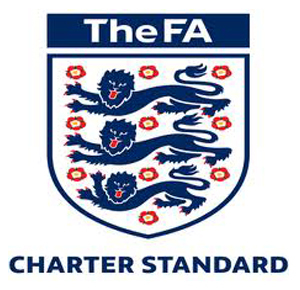 The FA Charter Standard Programme was launched in February 2001 to establish, reward and encourage good practice at the grassroots level, so that parents and children can demand a minimum standard of provision from clubs.